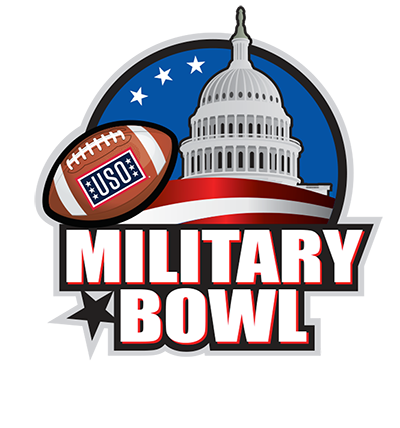 The 2018 Military Bowl presented by Northrop Grumman, benefiting the USO date and time are Dec. 31, 2018, Noon kickoff at Navy-Marine Corps Memorial Stadium in Annapolis, Md. The stadium is located at 550 Taylor Avenue. Stadium parking is SOLD OUT! Only those with pre-purchased parking passes will be able to access the stadium lots on gameday. If you do not have a stadium parking pass, see below for our various overflow parking options. Have a plan in place before you arrive in Annapolis– please do not try to access the stadium lots without a parking pass. Gameday cash parking is not available. PLEASE NOTE: Parking lots open to the public at 7 a.m. on gameday. Fans are strongly encouraged to arrive early in order to avoid traffic. Road closures for the parade begin at 9:00 a.m. Click here for additional parking information. What time will parking lots open at the stadium? Parking lots open to the public at 7 a.m. Fans are encouraged to arrive early; road closures for the parade begin at 9:00 a.m.
Tailgating is permitted within the N-MCMS Stadium parking lot for those with a valid parking pass and will be restricted to the area directly behind one’s car. There is no saving of parking spaces. Please note that lots do not allow reentry. For additional information please visit our Stadium Policies page. When do doors open to the stadium? Stadium gates will open to the public 90 minutes prior to kickoff (10:30 a.m.). When does Bowl Week start? Teams arrive on December 26th. Fan events in Annapolis will take place several days prior to the game on the 31th. Click here for additional Bowl Week info. Can I bring my bag into the stadium? The Military Bowl has instituted a clear bag policy. For more information on this policy, please see our clear bag policy page. Can I purchase alcohol at the game? Yes, beer is available for purchase for those 21+ at concession stands. Beer is sold at the pregame Official Tailgate as well. Will the game be on television? Which team will sit on each side of the stadium? The Blue side of the stadium is designated for Virginia Tech. The Gold side of the stadium is designated for the Cincinnati. A map of seating options can be found on our Tickets page. 2018 Military Bowl tickets are on sale now! Can I show my Print@Home tickets on a mobile phone? No. If the Print@Home delivery option is selected for tickets, the tickets must be physically printed. Mobile tickets can only be used if that was the delivery option to selected. Do members of the Armed Forces get any special ticket pricing? Complimentary tickets for the 2018 Military Bowl at Navy-Marine Corps Memorial Stadium will be made available for service members and their families. 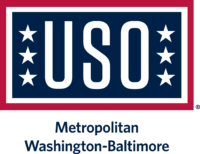 Tickets will once again be distributed through the USO-Metro Ticketline. You can also donate tickets for military members and their families on our website. Click here for more information on Tickets for Troops. What happens if I lose my ticket before the game? If you lose your ticket before the game please contact info@militarybowl.org. Each customer will be handled on a case-by-case basis. Can we re-enter the stadium? No, unlike Navy football home games our fans will not be allowed re-entry. ADA seats are available for purchase like any other seat. They can be purchased online or by calling 877-725-8849 from 9 a.m. to 9 p.m. EST Monday-Saturday and non to 8 p.m. Sundays. Where are the aisles located in each section? When viewing the ticket map, aisles are located in the middle of the section for all sideline seats (Blue and Gold sides). Sections E-H have aisles on either end of the sections. 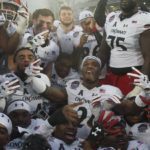 Where can I buy Military Bowl gear? Military Bowl merchandise is available for purchase online here. Official Bowl Hotels are listed below. Additional information (including how to book) can be found on our Hotels page. Which team is home and which team is away? Virginia Tech is the home team. Cincinnati is the visiting team. 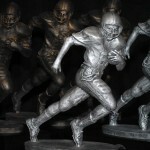 Are there any Bowl Week events that we can attend? 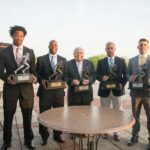 Annapolis will host several events leading up to the 2018 Military Bowl presented by Northrop Grumman. Events include the Bar Crawl, WineWalk, Military Bowl Parade led by the Budweiser Clydesdales, Official Tailgate and more. Please click here for additional information.. Which airports are best for traveling to/from the game? What forms of transportation are available in Washington, D.C.? Washington, D.C. has an elaborate Metro Rail and Bus system which can get you almost anywhere. There are also taxis available for hire throughout the city. Information about bus and train schedules can be found on the WMATA website. Still have questions? Tweet them to us @MilitaryBowl or e-mail us at info@militarybowl.org.